What do you do when you want to offer your guests more than cake? What if pies are your dessert of choice? What if the bride wants cheesecake and the groom wants chocolate chip cookies? A dessert buffet is a fun and delicious alternative to a traditional wedding cake or for any other event where you want to serve a variety of desserts. We offer cakes, cookies, pies, tarts and more. 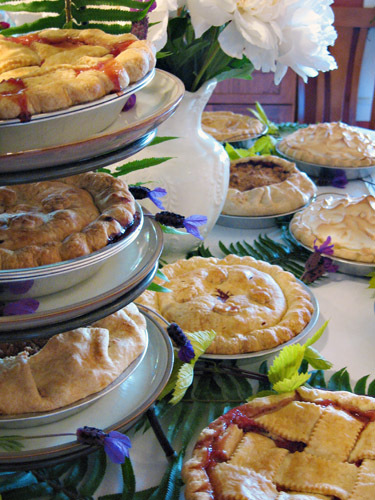 Please give us a call and we can help you put together a dessert buffet that will keep the dance floor full. Delivery available.